If I want to go to a place and it involes in swapping trains, can I use the same ticket as I used for the previous train or would i have to buy another? I am going from Paderborn to Gutersloh, which involes a train swap and im not to sure about buying a new ticket or if I can still use the on I purchsed when I was in Paderborn. You don't need a new ticket when you swap trains. You purchase a ticket from Paderborn to Gütersloh, and that's it. Buy the ticket at the counter or from a ticket machine in Paderborn, and you're done. It is not a long distance, so I am not sure if you can purchase an online ticket at the Deutsche Bahn website. Train ticket machines have either a touch screen, and you can choose from several languages. They guide you through the process. Or the machines have just an alphabetical list of towns and cities in the region with number codes. You type in the number, and whether you want a return ticket, or not. sorry for the late reply, I nearly missed your message amongst all the spam comments I receive. You can buy a return ticket online 90 days in advance. Simply add Koblenz and Trier as stopover for the onward journey, and Trier for the return journey. You can choose the time you want to spent at each stopover point. For the overnight stay simply add 24 or more hours. I want to travel from Frankfurt airport to Luxembourg and return. But I want to stop in Koblenz and Trier on the way and arrive Luxembourg the same day. On return, I want to stay overnight in Trier. What kind of train ticket should I buy? Can I buy on line and in advance? Thank you. It depends on the time of the day you want to travel from Munich to Münster. There are connections where you need to change trains once, twice or tree-times. You can check it out at the Deutsche Bahn website. How many train do i need to enter from munich to munster? I am sorry for the late reply, somehow I missed your message. 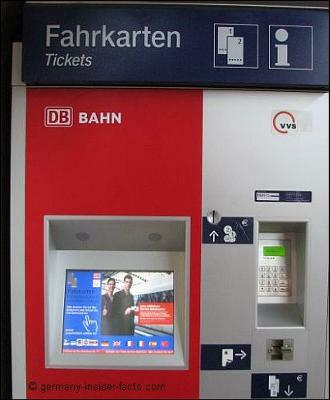 You can buy train tickets at every train station, or online on the Deutsche Bahn website. This is very convenient. See the DB logo and "Search for a train" headline in the left column of this webpage? Click on the DB logo and it takes you to their website. The costs depend on the day of travel, and the kind of trains you use, also how long in advance you buy your ticket. Hi, I'm wondering if you could help me. 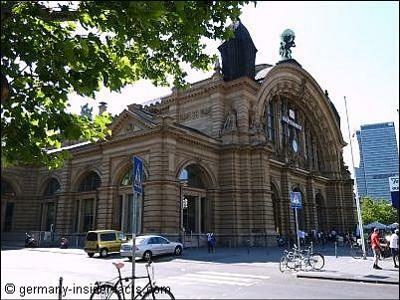 I'm planning to go to Frankfurt i live in Paderborn. Where can i buy the ticket and how much it cost me. Thanks a lot for your help really appreciate it.